1 funny movies | This Blog Rules | Why go elsewhere? Whenever you find yourself in need of some cheering up, a comedy movie is the best medicine! However, if you are tired of the new films that seem to follow the same narrative and style, you might want to check out some older comedies from the 1980s. These movies had substance, fun and ridiculous stories, without a serious and complex plot or characters. It’s not like you need to bother yourself with demanding stories after a hard day’s work. Without further ado, here are the top 6 best comedies from the 80s to cheer you up on stressful days. 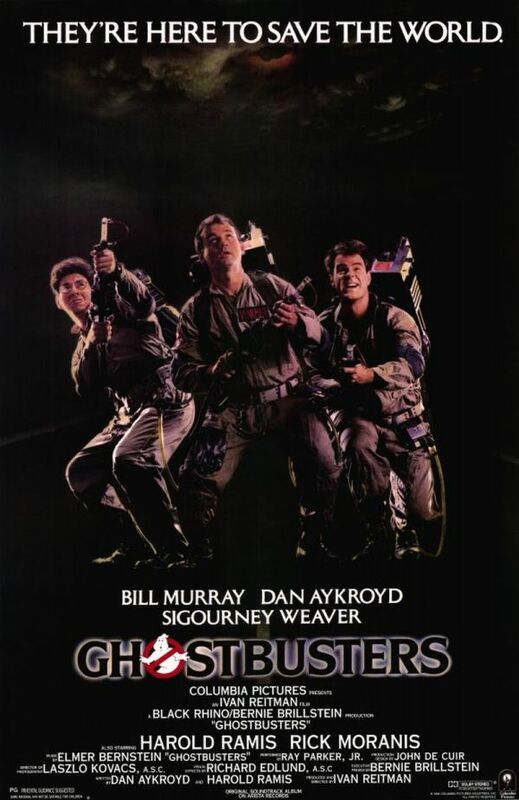 Three parapsychology professors are kicked out from a New York university and decide to create a service for dealing with ghosts. In their endeavors they find a portal to another dimension which threatens to release all its evil into the city. Thus it is up to them to save the world. Even though this movie might qualify as science fiction as well, it can’t be placed in the same category as Gremlins or Back to the Future. However, you can see its truly comedic character at the end battle which takes place between SNL celebrities and a huge candy monster! 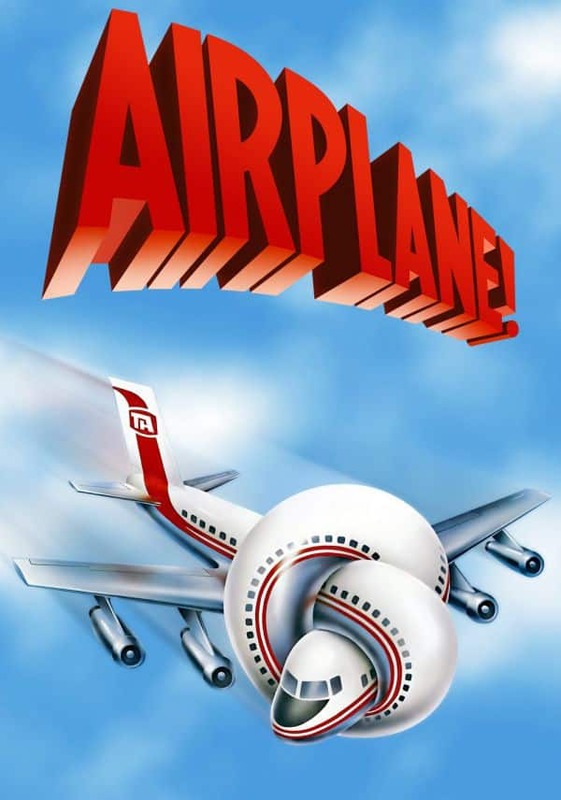 Airplane is considered by many the funniest movie ever made, and not without reason. It is a motion picture of pure comedy, which spends little to no time on the plot or the development of characters. In two words, the protagonist named Ted, an ex-Navy pilot, wishes to get back with the love of his life, who happens to be a stewardess. They board a flight together, and then madness ensues! The passengers fall ill because of food poisoning and their fate is in the hands of Ted, who also happens to be afraid of flying due to his previous experiences. This comedy is all about the perfect vacation which turns out to be completely out of control. The Griswold family has planned a brilliant vacation to Walley World. In order to get there they need to drive from Chicago to the West Coast. However, it doesn’t go as planned when they meet their cousin Eddie and have to get aunt Edna to Phoenix. After many ill-fated events, they finally get to Walley World, only to find it closed for maintenance. 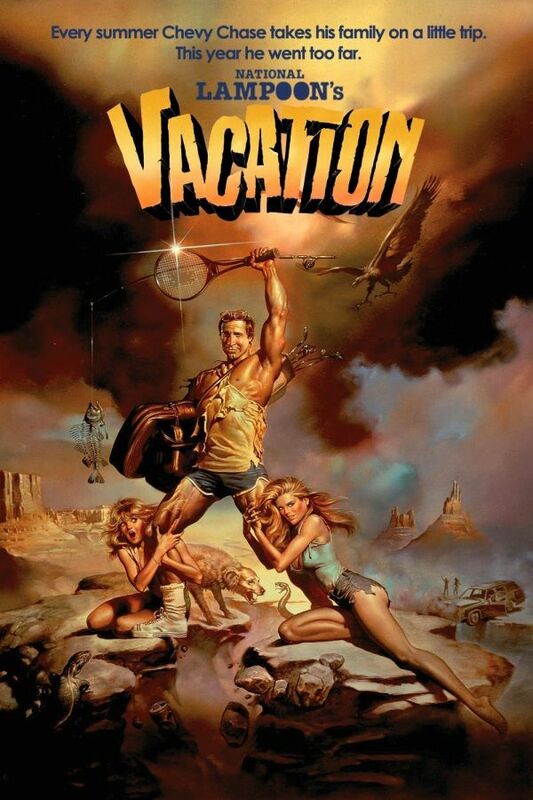 The National Lampoon is one of the most well known franchises in cinema, Vacation being its first installment. 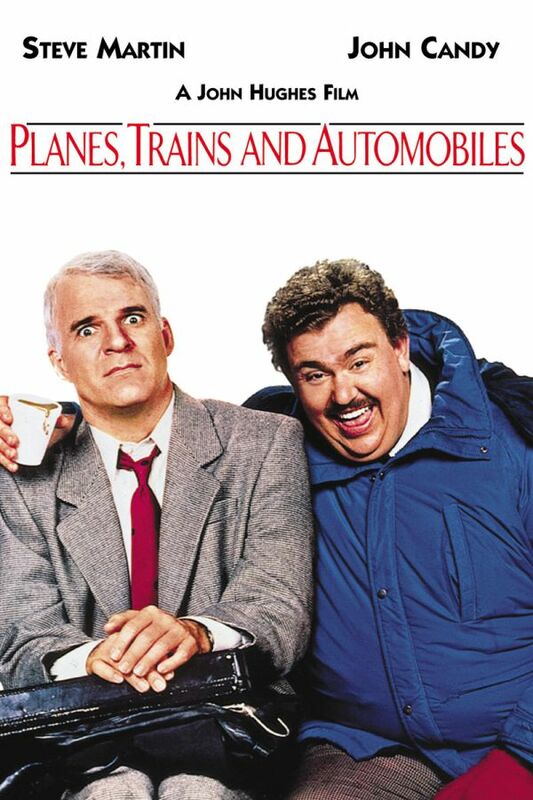 Planes, Trains and Automobiles unites a golden trio of comedy: Steve Martin, John Hughes and John Candy, which is sure to give you many good laughs. The protagonist wants to go home in time for Thanksgiving. Unfortunately, his flight has been canceled and he find himself in need of finding an alternative. At the airport he meets a very talkative salesman for shower curtain rings and the two try to get together to Chicago. However, because of bad weather they end up in Wichita, Kansas, and must cope with the presence of each other. Parody movies have quite a bad rap, and not without a reason. Despite of the usual low quality, Spaceballs was very well received. 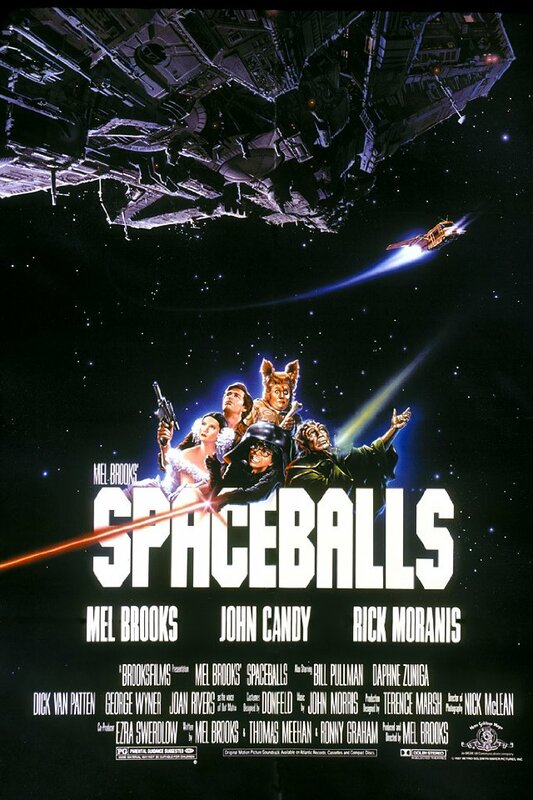 Directed by Mel Brooks who has the weirdest collection of movies ever made, Spaceballs is truly the perfect parody. The movie makes fun of the popular Star Wars franchise. The action revolves around two planets: Druidia and Spaceball. King Roland wants to marry his daughter to Prince Valium, but the princess is kidnapped by the evil inhabitants of Spaceball. It’s up to Lone Starr, a space rogue, to save Princess Vespa and save Druidia. This comedy definitely proves that Keanu Reeves does have talent in comedy, even if he chose another style for acting. 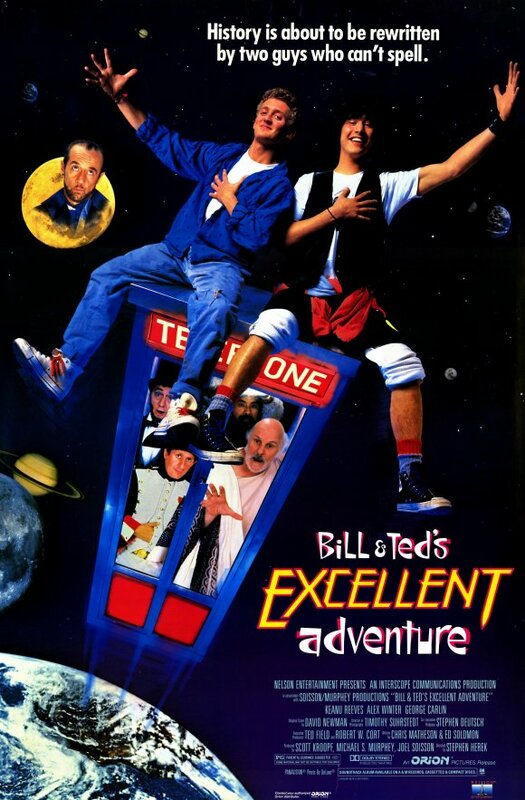 The movie presents the story of two dumb teenagers, Bill and Ted, who plan to start a rock band named “Wyld Stallyns”. Unfortunately for them, they also need to pass their history report. If they fail they will be separated, because Ted will be sent to military school. Just when they are debating this dilemma, a man sent from the future comes to help them with their test. As a result, they start gathering the best professors of history in the world: the historical figures themselves!